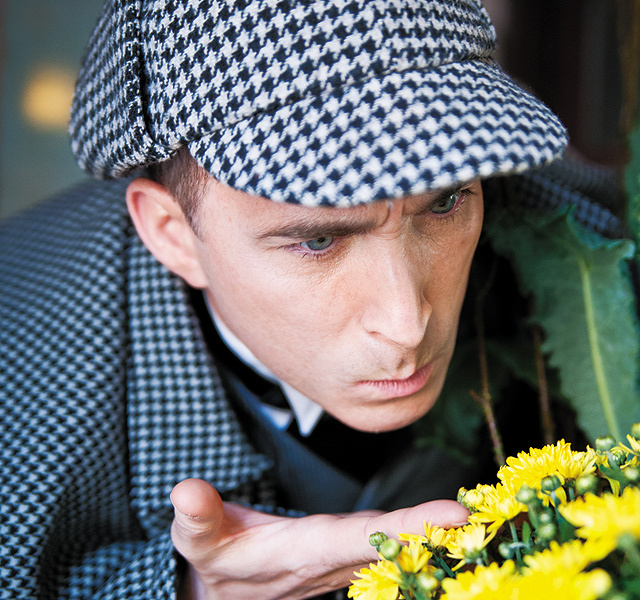 Going as Sherlock Holmes and Dr. Watson is the perfect option for a quality costume with little time investment for prep. All you need for this one is to walk into Norcostco during business hours and have one of their costumers measure you and create a design for you–with many options of color and pattern variations to suit your taste. This is appropriate for anyone who enjoys looking well put together, yet is not the type of person to plan their costume for months, but wants to dress to impress. There is no call for makeup, just some gel in your hair combed back if you have longer hair so that you look more like a dapper gentleman. Sherlock and Watson are always fondly celebrated, and are one of the easiest Halloween ideas for a dynamic duo that isn’t necessarily looking to go as characters who are a couple or be too full of gore. If you have extra folks in your group, you can add Mrs. Smith (the housekeeper), a bobby cop, or even the bad guy you’re chasing. 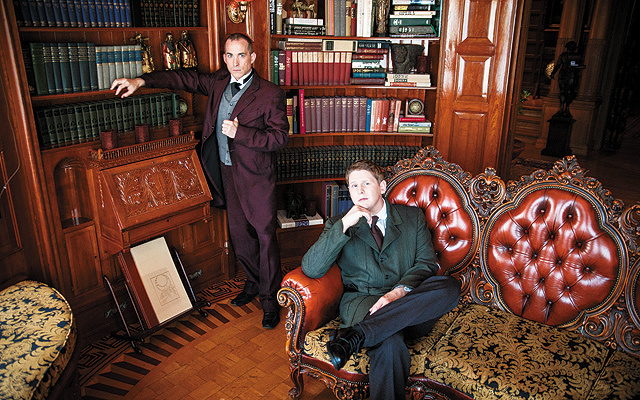 Sherlock and Watson keep dressing up classy. Costume rental at Norcostco. Rental includes your appointment to get measured and pick things out, the rental itself, and cleaning afterward (Sherlock $64.95, Watson $54.95). Halloween costume rental rates vary from $45.95-71.95 depending on what you rent. Slicked hair: Murray’s Hair Pomade at the drugstore, $3.00. Photography: Brett Dorrian Artistry Studios – Brett Dorrian. 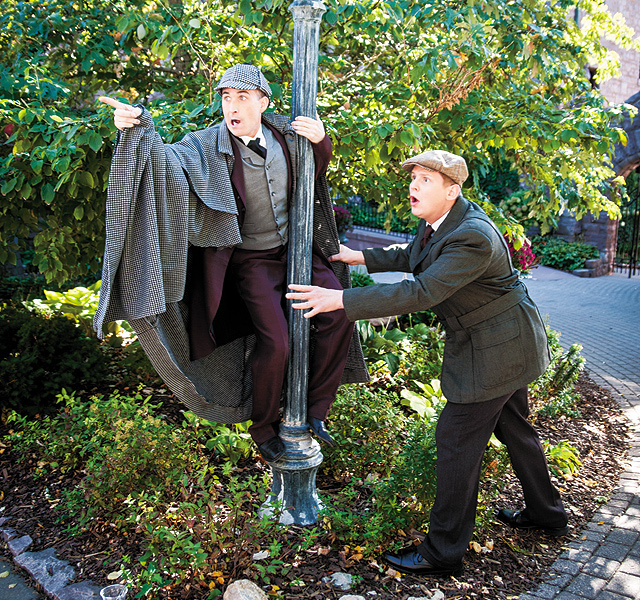 Models: David Hanbury as Sherlock Holmes and Andrew Rasmussen as Dr. Watson. David Hanbury has most recently graced the stages of the Twin Cities as Mrs. Smith, an eccentric woman who is in search of her cat, Carlyle. Andrew Rasmussen is Executive Producer at Cardinal Theatricals, the company producing Mrs. Smith as well as other recent hits like Rocky Horror Picture Show and RENT. Watch for David and Andrew to take Mrs. Smith to the musical stage and television! Makeup/Hair by Brett Dorrian Artistry Studios – Brett Dorrian. Promotion: Camera-ready makeup and head shot sessions available for performers and executives. Let us take care of you so you can take care of business. Mini sessions available for online profiles. FYI: Holmes and Watson’s housekeeper is “Mrs Hudson”, not “Mrs Smith”.